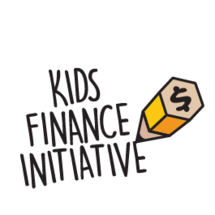 Kids Finance Initiative is a group of pioneers who are passionate about helping kids realize their potential, igniting their curiosity, and stretching the horizons of their minds. They help kids overcome their limiting beliefs and encourage them to achieve more than they think they are capable of. This program gives students the understanding and the confidence to make conscious money decisions. Kids Finance Initiative has a team of dedicated and highly trained professionals, who all have advanced degrees in finance, business, and education, but who more importantly have the drive and the passion to teach the kids the skills for the future.